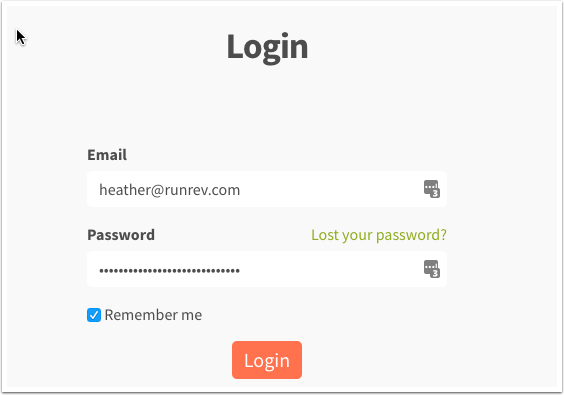 This lesson is only relevant if you are a LiveCode Reseller, which gives you some additional account tools. 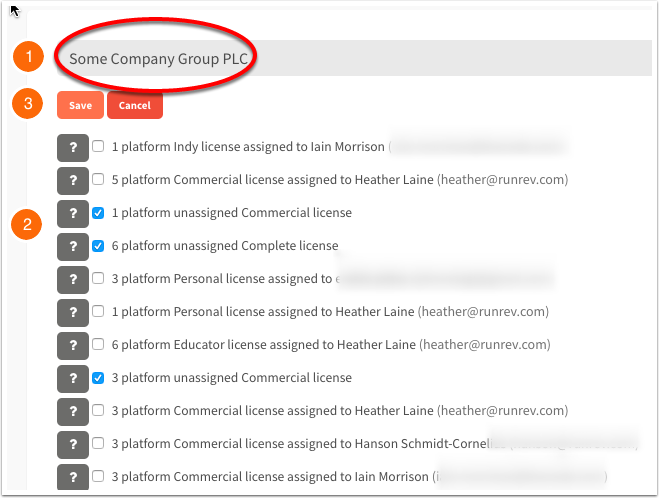 You will not see the "group" button unless you have been given the status of Reseller by LiveCode Ltd.
(1) Enter the name of eg the company you want to assign the licenses to. (2)Tick which licenses you want to assign to this group. (3) Click save. 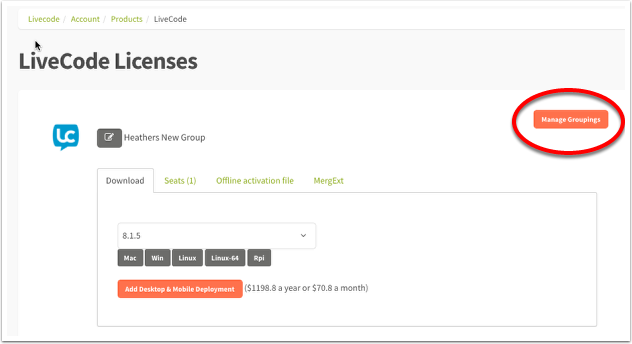 Click on "LiveCode" in your left navigation to return to your main licensing screen. 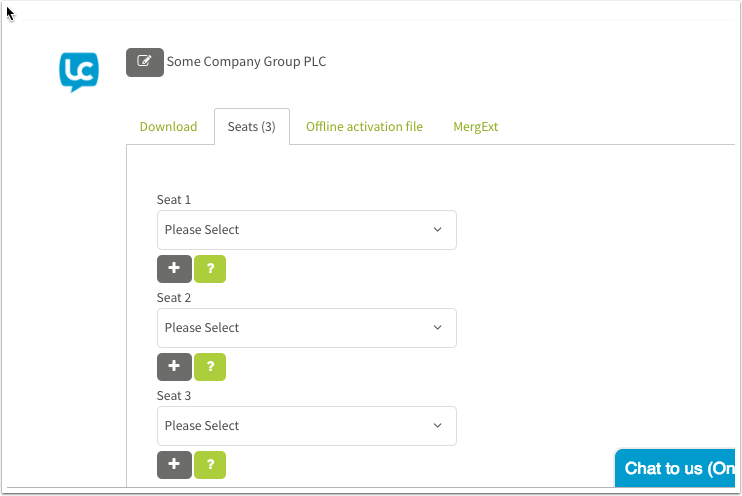 Scroll down to find your new group, and click on the "Seats" tab to assign the seats to individuals within your group. You can do this exactly as you would any other license, following the steps in this lesson. 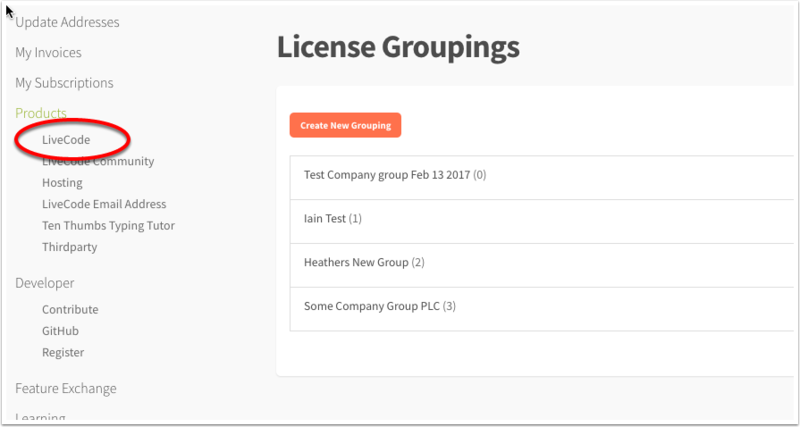 The license you assign will retain all the characteristics of the original license, it will not be modified by adding it to a group.